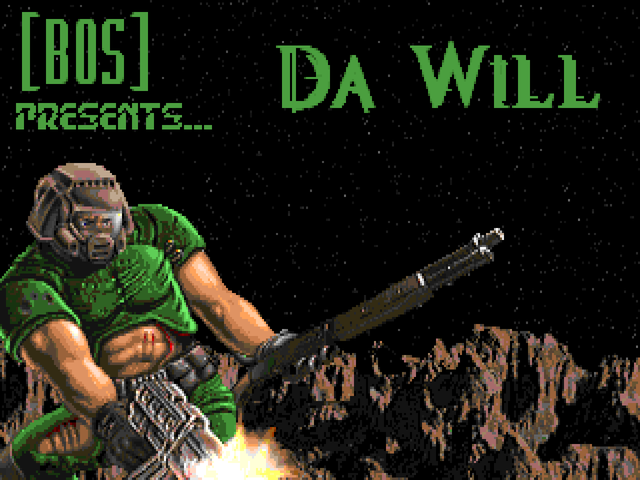 Da Will is a 2009 release of Russian mapping team Clan [B0S], a ten-map episode for The Plutonia Experiment (Doom II) meant to be played in limit-removing source ports. 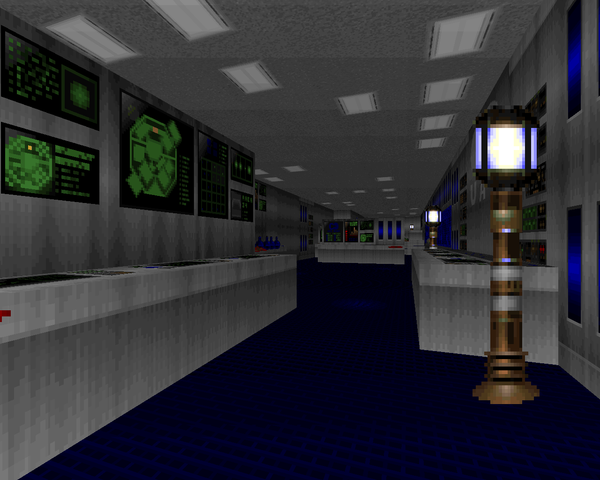 Clan [B0S] has gone on to make more ambitious releases; Da Will should be a comparably comfortable mapset, especially for players more at home with traditional Doom II action (namely Plutonia). The plot takes the player through Central American jungles in search of the mysterious Object "33", continuing on from Lainos's Object "32". I think I've finally come to understand what the Objects are (though I'm probably wrong) – they're foreboding ruins which the UAC has foolishly constructed bases nearby. The installation by Object "33" has ceased communications, and you've been tasked with locating the ruins and finding out what went wrong. 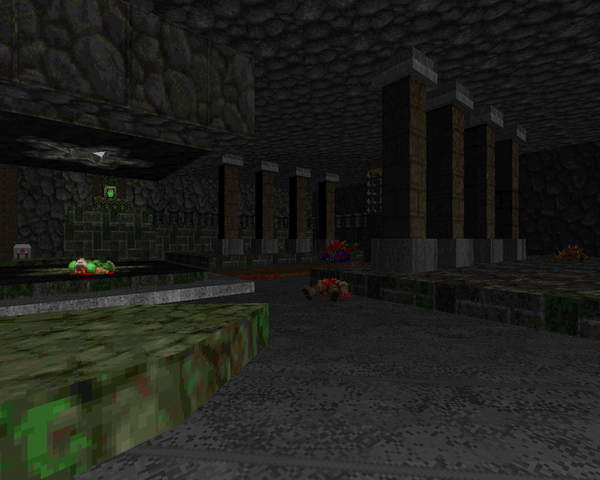 The Plutonia texture pack is put to good use, here. Levels like "Mezoamerica" and "Irrigator" are uncanny Casali tributes while others take the aesthetic in a bit of a different direction. You'll also find a wide variety of combat scenarios. For every wide-open shootout there's a tricky ballet with hell knights and barons. Actually, combat tends toward more up close and personal fights, with the SSG reigning supreme. Sometimes you get to cut loose with the cell ammo weapons, but many of the maps are too short for the weapon progression to really open up. In spite of the more adventuresome titles, I'd say the "classical" pieces are the best, with a few feeling unfortunately like filler (the indistinguishable mine levels). 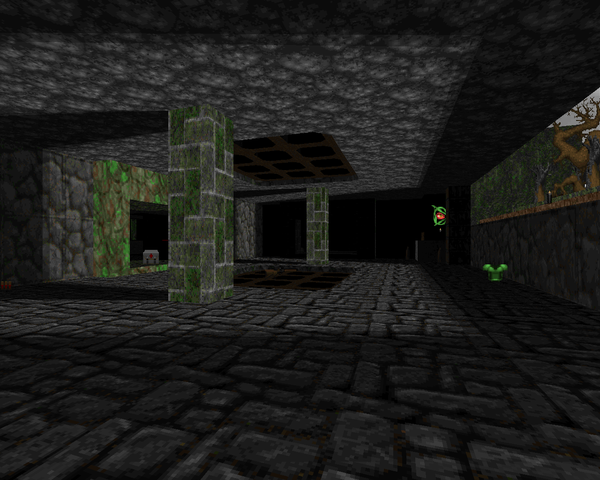 If you're looking for more levels bearing the look of Plutonia, Da Will is a good choice. 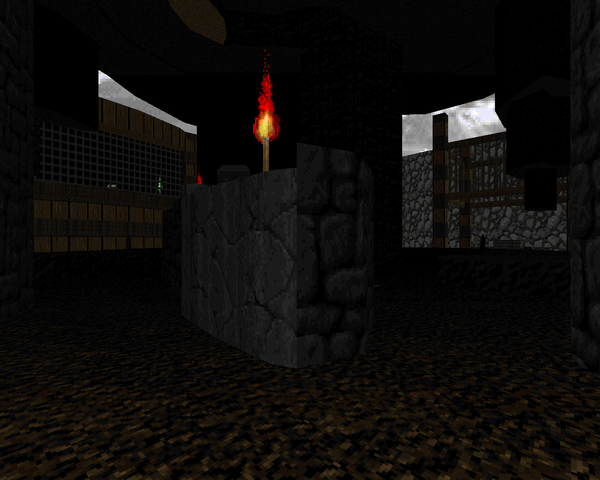 Though some of its maps may not perfectly emulate the style sought after in Plutonia 2 and Plutonia Revisited, there's enough classic action to hold over curmudgeons, who can stand to use the other maps to venture outside their comfort zone. It's certainly more "playable" than the more atmospheric Sacrament, released in 2011. Really, just pull it off the archive and give it a try. If Shadowman's opener doesn't grab you, I don't know what will. A pretty good Plutonia knockoff. It's a vine-covered ruin much like "Congo" and while it's not exactly a carbon copy, you can see some of the homages in its pacing. 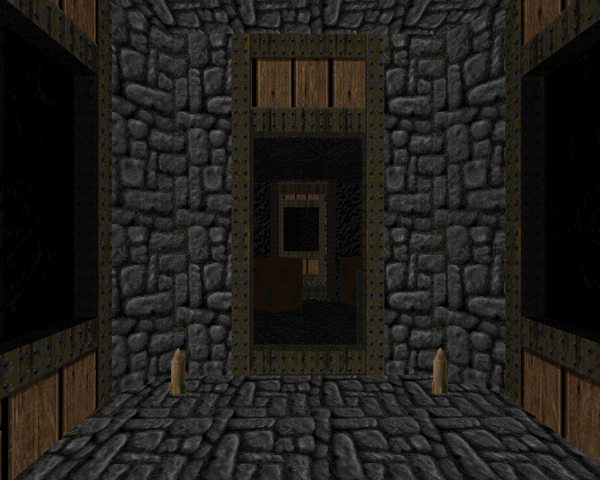 One example has you find the SSG in a room with some crates, which also contains an arch-vile ambush. Difficulty is a little rough with a lot of hitscanners hanging around to nickel and dime your small health surplus away. The most memorable encounter is your return to the starting area, when the red key is available to grab. It's a neat shootout with demons on the ground running interference and even has a bit of a nasty followup. 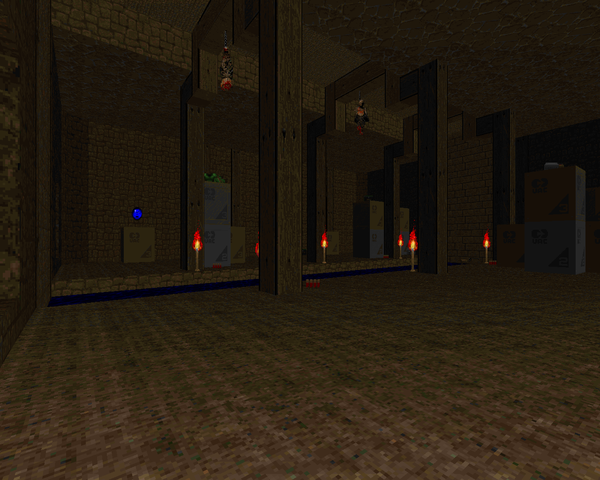 Basic but passable mine map loaded with scattered crates for cover. Gameplay is cramped and, in a few spots, very rough. You'll want to find the rocket launcher secret to make things a tad easier, especially with bits like the arch-vile ambush in the penultimate room. One big gaffe – Paine forces you to jump in to 20% damage poison. You'll have to fight your way to one of two rad suits. Not difficult on later attempts but that first trip may be frustrating. 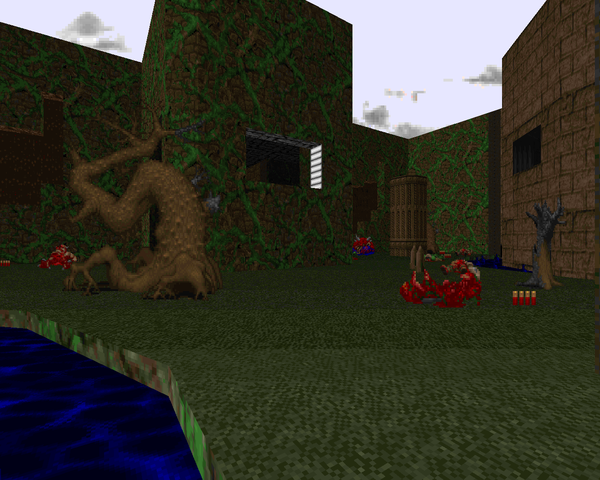 Standout encounter is as mentioned an arch-vile ambush in the map's final moments. Wraith gives us another map in an overgrown ruins style. It's quite large and true to its name features several sluices filled with water. While it's a little confusing to navigate at first, it slowly opens up as you explore, raising walkways and opening doors back to previous locations. Combat is sort of a light Plutonia favoring revenants, demons and hell knights along with the standard trash monsters, though there are a few surprises. Sequences I particularly enjoyed were the descending pillar segment off the irrigation ditch and the yellow key fight. The only strike I'll level at it is its obscure nature. I think the yellow key is located behind a walkover trigger I failed to notice my first time around. Either that, or the walkover itself opened up after exploring elsewhere in the map, which is even more mystifying. All that aside, this is a pretty fun level. Max presents a small techbase with an adjoining mines section, moving from one helipad to the other. It's a very straightforward and a little short on ammo at first, but that all turns around once you grab the blue key, triggering the level's standout encounter. 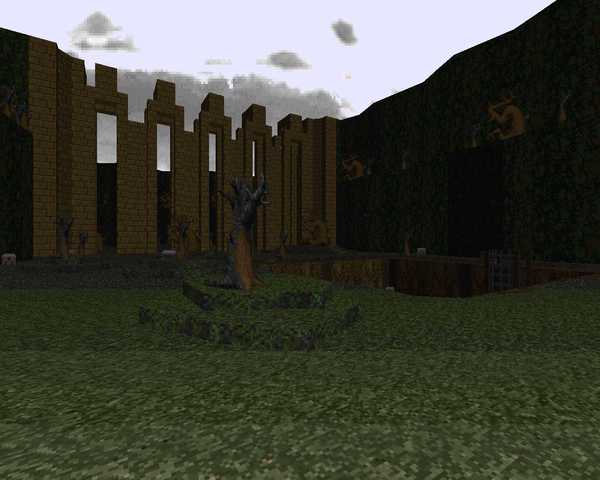 The walls of the previous maze lower to usher in an enormous wave of demons mixed with hell knights. It's all player pressure you have to beat back or be overwhelmed. The techbase portion is a nice little intro with some transparently arranged crates to funnel your movement. 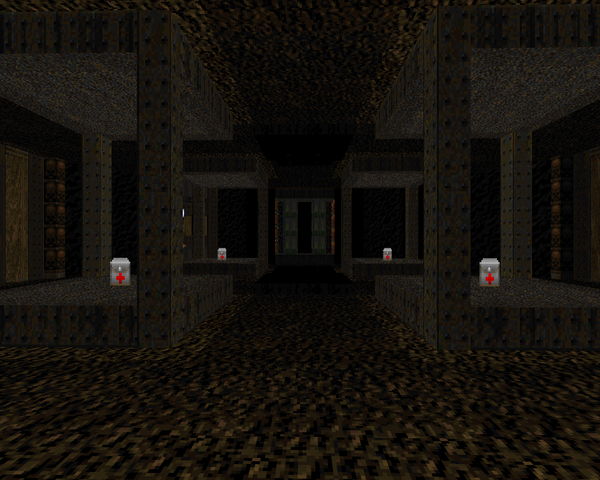 by Conrad aka "ABM-87" aka "Detonator"
This is a very short temple-ish map that's dark, but features some good atmospheric lighting. The darkness is hardly a detriment, and the only situation where it will really matter, Conrad is generous enough to supply two light powerups so that you can dodge Cyberdemon rockets in a very tight space. The only snag you'll probably run into is navigating the library, where you'll be groping around in the dark for a semi-hidden switch. Nice little outing. Azamael's spot contains a medium-size, predominantly underground level with a couple traps but nothing too shocking. 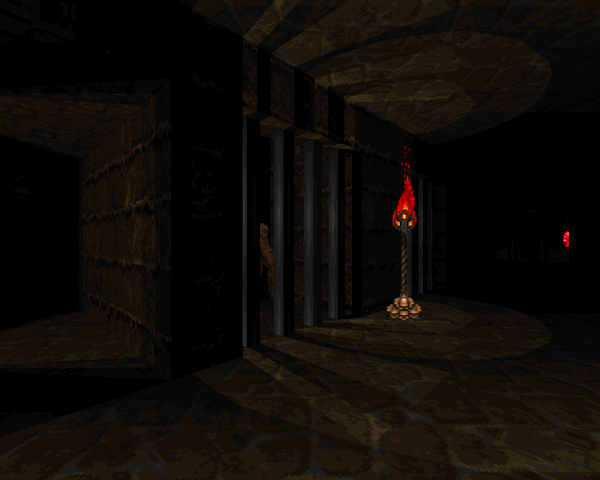 It's a dungeon romp with some nice looking rooms but not a lot of interesting combat, except maybe the aerial enemy trap to the north or that glut of monsters he dumps into the main tunnel to impede your exit. I really like the look of the individual chambers, but the final encounter – a pack of barons that must be confronted with the SSG – hardly elicits a yawn. There's too much playing area there to not do something more...interesting. Paine takes you back to another mines section, looking plain but serving up action. He's not afraid to bust out the claustrophobic gameplay, with revenants lurking around every corner, the rest of the opposition being mainly imps and commandos. The big highlight is the rad suit creep, where you have to get to the switch at the end of a nukage tunnel and back before your protection runs out, with a nice little topper at the end. There's a danger room secret that makes everything much easier, though, particularly any ammo issues you might have. by Sanya aka "Dragon Hunter"
Sanya classes things up with this oldschool city-style map, involving street shootouts, congested room-clearing, and a full on brawl at the climax. Once you clean out the initial forces, you can stroll around and start grabbing the keys. Progression is a little unclear at times, like when the blue skull pedestal lowers, or moving past the building locked behind the red door (also the scene of some very up close and personal fighting). The end teleports enemies in to several pads, including the Cyberdemon you heard way back at the beginning, so you have to be on the lookout. 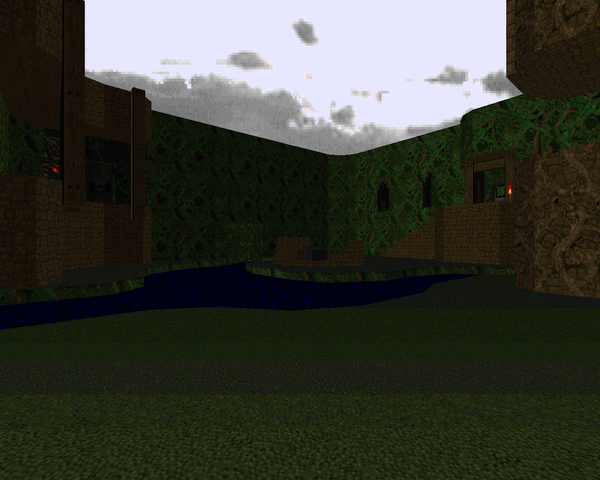 My favorite segment is the western cavern, featuring some nice scenery and opening into a mancubus-heavy firefight. Very nice map. This is a small but complex marble temple map with some switch play. 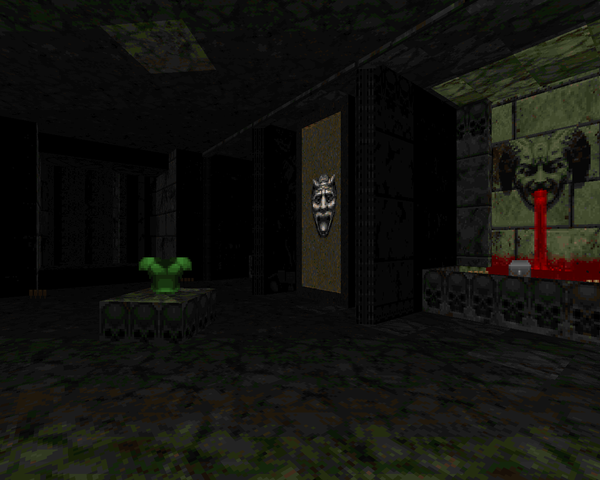 The major puzzles involve no small amount of combat. Expect to do a lot of fighting under duress, whether it's timed radsuit trench clearing or close-quarters SSG dancing. The level's highlight involves a Cyberdemon and a load of barons. You can't hope to get past the Cyberdemon on your own, so be quick in coaxing some barons to do the rest of the work for you. The finale, a standard Spiderdemon vs. plasma gun fight, isn't nearly as interesting. Still, a fun, dangerous level. Lainos closes out the episode with some vast, Plutonic ruins with a little dark metal mixed in for good measure. 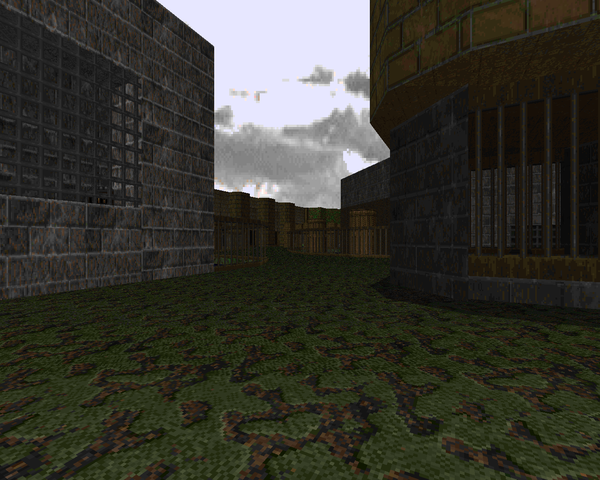 It's a large map, but most of the size is due to wide-open outdoor areas that the player traverses for the second third of the level. In between the usual chaff there are some nice larger fights to keep you on your toes, like the teleporter ambush at the end of the base section and the battle in the southern ruins near the exit. Some bits might be easily missed. There's a plasma rifle on the ground in the westernmost area, for instance, where some players might not be induced to explore, and the actual trigger to leave the base section will be bypassed if you take either of the side exits after the blue key door. 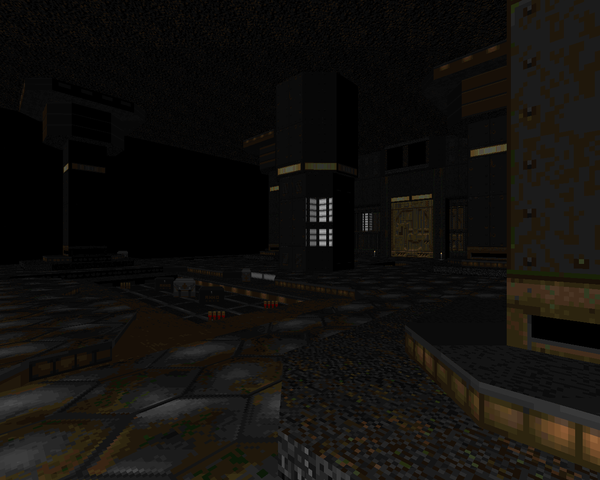 It's a pretty good finale, though, and the look of the teleporter pit in the temple basement is quite striking. 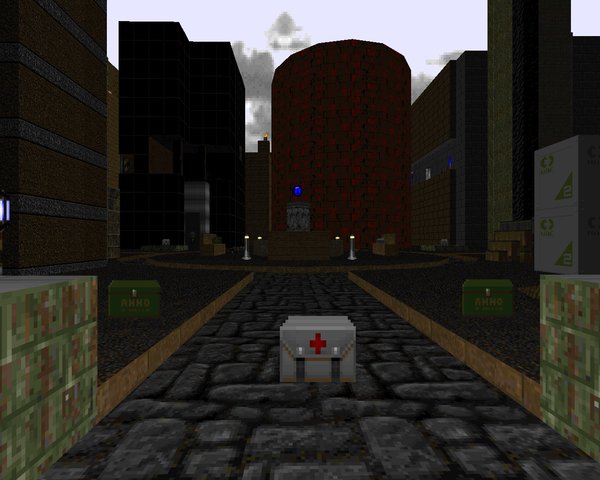 MAP08 is titled "Fallen City", not "Toxic Waste Site". Anyway, there are some cool moments in Da Will but I still found it pretty run of the mill in the end. Whoops! Fixed. This is an error from back in late 2012 / early 2013 when I copied and pasted the table template from Insertion to serve as the base for this article.